Get 6 issues for only $18! Roam: Experience new places the way locals do with stories from top travel writers and photographers. Stay: Get inside travel tips from Airbnb hosts and plan your next adventure. 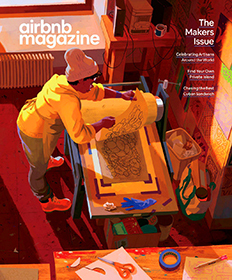 Belong: Airbnb Magazine is your passport to feeling at home, anywhere in the world!